We as believers have two ordinances in the church. We have Baptism and the Lords supper or communion. We believe that you are not saved by taking communion or by being baptized. However, you must be saved in order to take communion or to be baptized. So why do we have these ordinances? 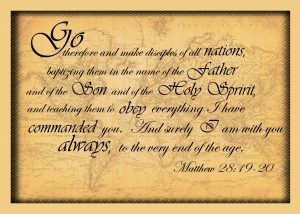 Matthew 28:16-20, known as the Great Commission is where Jesus gave his disciples the marching orders for the church. Some doubted! The term for doubt here is not complete unbelief but rather it is a hesitation to accept something that seemed so impossible, it was hard to grasp. Some of the disciples struggled to believe that Jesus was alive and that he was exactly who he said he was. These same disciples who witnessed the feeding of the 5000, the feeding of the 4000, Jesus walking on the water, Jesus calming the storm, they witnessed the powerful natural disasters that took place when Jesus was crucified and many other miracles, these same men, who walked with God for 3 years, now doubted. Now before we are too critical of these disciples, we too are prone to doubt and Jesus knew that. Jesus knew that the enormity of what took place when he was crucified and raised from the dead, is too much for us to fully comprehend and that is why we have these reminders, the reminder of Baptism and the Lords supper. These ordinances are more than simply things we do. They remind us of who we are, they remind us that without the body and the blood of Jesus, we have no hope. Baptism is such a beautiful picture, when the person being baptized, goes under the water, they are showing that they have died to their old life, and have been buried with Christ. And then the beautiful picture of coming up out of the water, being raised to new life in Christ. The authority Jesus has supersedes all earthly authority and all heavenly authority, he truly is the King of Kings and Lord of Lords. Jesus didn’t assume this authority, it was given to Him by God the Father, the creator and sustainer of all things, Jesus had this universal authority given to him. The authority that Jesus had is secure because it has been given to him by the all-powerful, unchanging, uncreated God of the universe. When Jesus says that all universal authority has been given to him, he sets the stage for what he is about to say next. Verse 19 begins with the word, “Therefore”, therefore, because he has the supreme authority, Jesus uses that authority to commission the disciples, and all who would follow him. With all the authority in the universe, Jesus says Go! This commission still applies to the church today, it still applies to all followers of Jesus today. 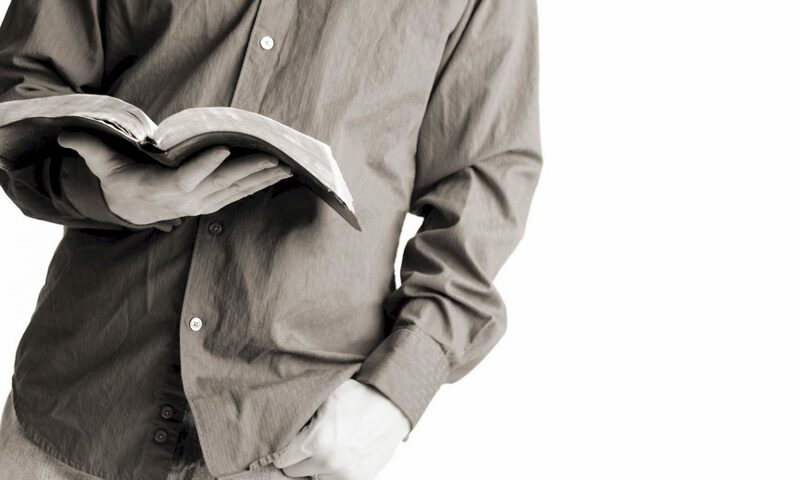 The phrase, “make disciples”, means win converts, win them for Christ by sharing the good news. Go out by the power of the Holy Spirit and win people for Christ. The natural follow on from salvation is baptism, Jesus follows the winning of souls immediately with baptism. If you have given your life to the Lordship of Jesus Christ, but you have not been baptized, I strongly encourage you to be baptized. It doesn’t make you a Christian, but in obedience to Christ, you are making a public testimony of your new life in Christ, and I believe that God places a special blessing and seal on your life as you obey Him in baptism. This is the discipleship piece, we are not called to simply win souls for Christ, we are commissioned by Jesus to do that hard work of teaching, correcting, training and encouraging. This is sometimes where we struggle, we seem to think that once a person is baptized they automatically are transformed in every way. But that is simply not the case, they need grace to make mistakes just like we do. None of us are perfect, but we are all on the journey of growing more and more in the grace and the knowledge of Jesus Christ our Lord. 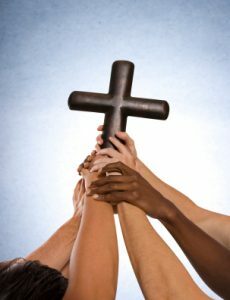 So, we have the Great Commission, to go, win souls, baptize them and disciples them. After Jesus gave the commission, did he just wave a goodbye, and disappear? Have you ever been given an impossible task? A task that you know you could not do yourself, but you were told by your parent or your boss to go out and do it! Imagine these eleven disciples, Jesus just told them to go into all the world and make disciples of all nations. Can you imagine how overwhelming that must have been? But then Jesus gives them the promise that makes the Great commission doable, “And surely I am with you always, to the very end of the age.” Jesus promised to be with us, he also gave the Holy Spirit to live inside of us as believers, we are not alone. This is not a task that we have to try and figure out on our own. 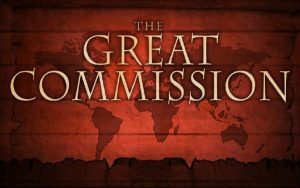 In fact, the Great Commission is only possible because of the promise and the gift of the third person of the trinity, the Holy Spirit. 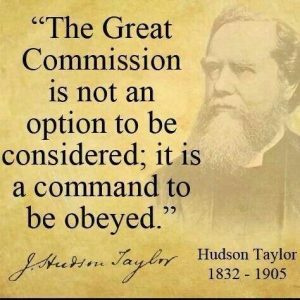 What a comfort that is, God not only commissioned us to go, he also provided the power to complete that Great Commission. Let us be a church that always answers the call to go.